People show a distinct preference for ATMs in a safe location. As such, installing the unit in a safe and readily accessible place increases the people trooping to your premises. If your store and your neighbors operate mostly on a cash basis, having a cash dispenser in the store would also help your businesses. With great advertising, you can attract sufficient crowds to make use of the service. It presents you with an excellent opportunity to turn them into regular customers. Credible research studies show that people are likely to spend up to a quarter of the amount they withdraw from a cash-dispensing machine in your store. On top of bringing more people to the store, these people are likely to buy from you anytime they walk into your business and may even buy more because they have ready access to cash. Having ATM in the store increases your cash transactions while reducing the use of credit cards. Subsequently, it leads to lower fees on purchases, which could translate into significant savings over time. After leasing or buying a unit from ATM Resellers, you set the transaction fees that customers have to pay for the privilege of using it. The fees that accrue from these charges come directly to your business, providing you with and an additional source of revenue. While you are responsible for the maintenance and servicing, the excellent build of newer dispensers keeps the cost low and minimal. As a result, your expenses pale in comparison to the income. If a service provider places an ATM in your premises, you get a percentage of the commission, but you will not shoulder the maintenance costs. Whichever approach you take, you still create a new revenue stream. Modern day customers appreciate the convenience and easy access to any services they so desire. 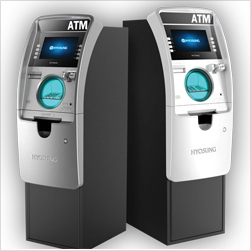 You customer will thank you for saving them the hassle of having to walk down the street to the nearest cash vending machine. Additionally, no one will ever walk away from your store because they did not have enough money to pay for their goods in full. As a result, you get to increase and retain a large customer base and grow your sales in the process.